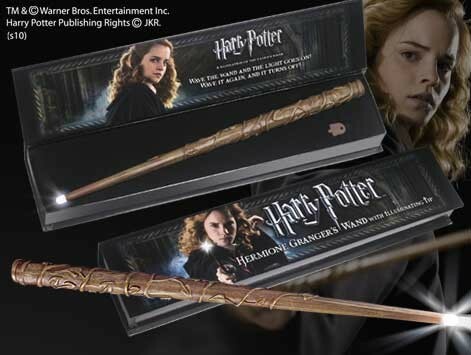 This beautiful toy is an authentic replica of Hermione Granger's wand from the Harry Potter movies. It is 14 inches long and comes in a collector's box. 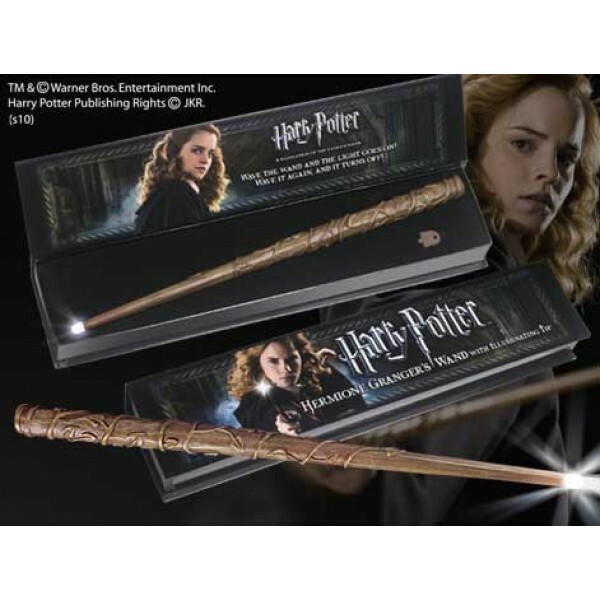 The wand illuminates when waved once, then turns off when waved again. Perfect for any Hermione fan! For more Hermione-related items, visit A Mighty Girl's Hermione Granger Collection.